This topic has 81 replies, 27 voices, and was last updated 1 day ago by metriod. Just get it on 0% finance? C2W ain’t that great and your £1000 limit is probably going to get you an alloy bike with Tiagra instead. No fannying with end of term nonsense as well. I’m still umming and aahing over getting one…. Tempest (and Space Chicken) isn’t on 0% due to margins. We do have a 36 month plan tho. Wow, that Holdsworth is absolutely lovely in the black and a bargain! 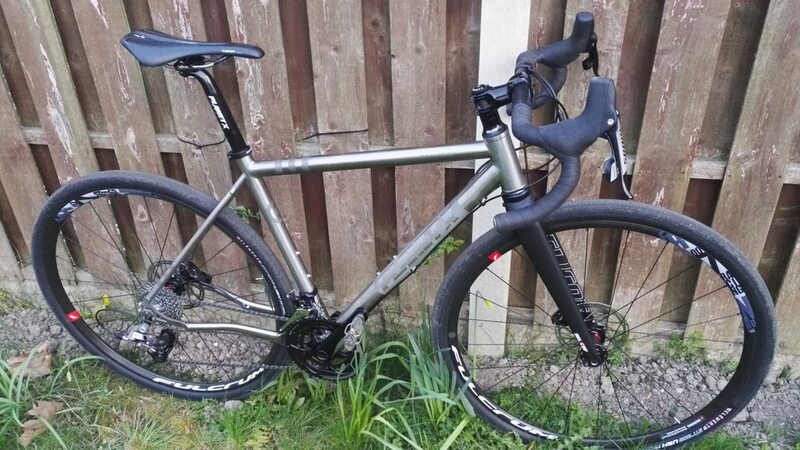 Mmm…added to gravel bike shortlist! Anybody going for a Space Chicken in the mental flame grilled paint job? it’s rad, I like it (a lot more than the cheap Ti originally posted actually!). Bolt through fork which is nice too. Don’t actually need one tho! My limit on c2w is £2k so was well within limits. Still tempting as that deal rocks regardless. Never bought anything from Planet X, do they have a shop to go and look at the bikes? Ignore above post, just found the answer, all stores closed. Those colours on the space chicken are crazy, but very attractive! Brant – I have a Tempest from Apr 2018, which I think is the Mk1 Reilly designed bike. Would you happen to know the wheel/hub spacing & specs I need to buy some new wheels? It’s either 100mmx12mm f/142mmx12mm r if it’s bolt through, or 100mmx9mm f/135mmx10mm r if it’s QR. 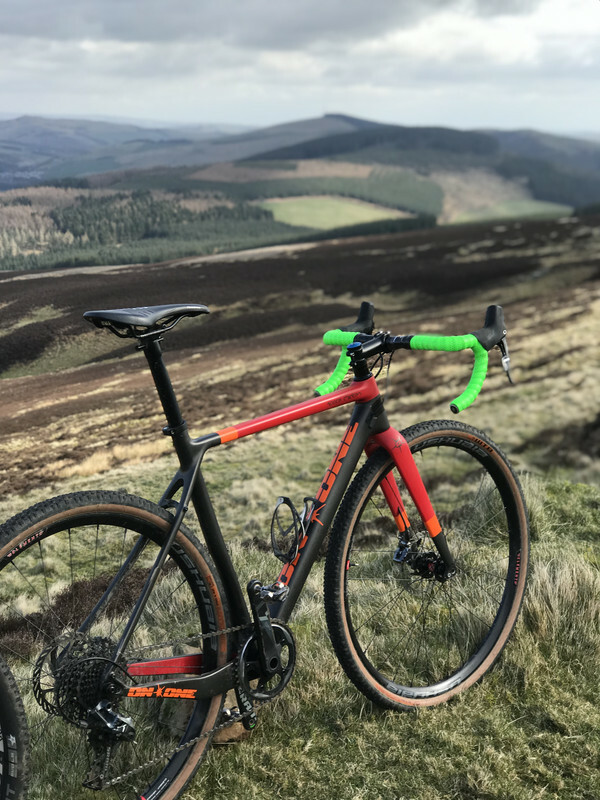 Really fancy one of these,but looking at sizes, the head tubes seem quite short in comparison to other similar frames ?… Compared to my Arkose the tempest is 30mm shorter in head tube for same size frame ? Compared to my Arkose the tempest is 30mm shorter in head tube for same size frame ? Lower headset cup is external, so there’s 10mm+ there. And really, I’ve never been a fan of “flat stem and no spacers”, which is why we’re speccing a 17deg stem, a bunch of spacers. Shorter headtube means lower standover which is a good thing. Sooo close to hitting the finance option  Space Chicken, Tempest or Holdsworth though? Also found a Vagabond at a good price. They all seem to be similar. 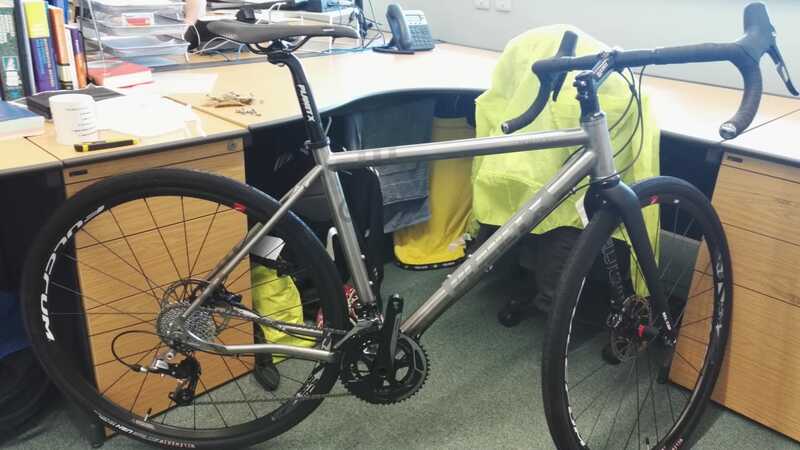 I’m looking to commute, mess about, explore and hit the towpaths. Drawn to the Space Chicken because I’m a sucker for daft names. Yes I’m looking at you Karate Monkey. Anyone else enjoying New Bike Day today? It shipped with the wheels already on, so only job was to fix the bars to the stem. Top job from Planet X! Discounts should be live tomorrow morning. Shipped according to my account, no notification yet but crossed fingers for a delivery later this week. Mine arrived on Saturday which was a nice surprise. Pics to come but very impressed with it. Only issue with the build was a slightly loose centre lock clamp on the front wheel. Sorry to hear that. Can you DM me with sales order number please. Will do. To be fair it was only a slight movement of the rotor when the brake was applied that alerted me to it & the rest of the build of that one & the other I bought for my wife was spot on. Only issue with the build was a slightly loose centre lock clamp on the front wheel. Mine’s the same – might be 6-bolt rotors with adapters, and it’s play in the adapters? I can’t see how splined centrelock should rock even if the lockrings aren’t done up. It went away when I tightened the lock ring so I assume it was just slightly loose. 3 brakes out of 4 were fine. Mowgli did you spec that with Rival 22 for the same price? Mine arrived today as well. Really like the look of it. Can’t wait to get out on it tomorrow night. Both centre lock discs had slight play when the brakes were applied, but they were easily tightened up which solved the problem. Yep! Sorted the stem and saddle now. Rides brilliantly! The Mrs’ one has stayed stock apart from changing to 165mm cranks and a 60mm stem. Mine has had a few tweaks. Just waiting on some ski wall G One to arrive. I’m confused – I thought these were the Tempest Rival 1 builds, but you all seem to have 2*11 and small cassettes. Did you specify a change or has the spec changed? Daffy +1 I would really prefer a standard double crank as this would also be my winter/poor weather road bike. Did you have to pay extra for the change? I think it was just me who asked for the Rival 22 upgrade – I posted two pics. I’d rather have 1* to be honest. Its easier to get up hills on 1* than 2* and you only lose a little speed on the flat. Its easier to get up hills on 1* than 2* and you only lose a little speed on the flat. Depends on ratios dunnit. Mines for much more road than offroad, and I didn’t want the bigger gaps. The simplicity of 1* was tempting though. Hoping the pic works, delivered today. Changed saddle out for a Fabric Scoop off my CAADX and I had to change the stem as +17 degrees didn’t suit. Everything else is marvellous. Maybe my photo uploading needs practice  Does anyone know if a QR 12mm thru axle is available for the rear of the Tempest rather than the hex ended axle? Can’t seem to upload from photobucket, and tips?